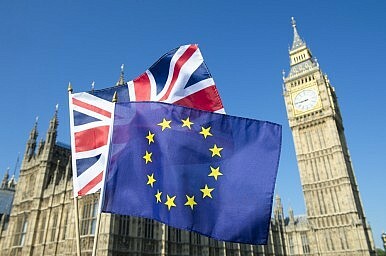 On June 23, citizens of the United Kingdom voted in a national referendum on their continued membership in the European Union, ultimately choosing to leave. “Brexit,” as the event is known, has roiled global financial markets, causing widespread volatility and losses of over $3 trillion in equity value overnight. Meanwhile, the British pound has seen the largest recorded drop by any major world currency in recent history. While the effects of Brexit will be acute for the United Kingdom, which stands to see its GDP growth slow down as a result of the referendum, the shockwaves of Brexit will ring globally. The states of the Asia-Pacific had almost unanimously advised the United Kingdom against leaving the EU. How can they expect to feel the geopolitical and geoeconomic consequences of Brexit now? Brexit could also mark a setback for China’s long-term goal of a free trade agreement with the EU. London had emerged as one of the most eager advocates for a China-EU FTA; with the U.K. now exiting the bloc, none of the other major EU states seem keen to ink a deal with Beijing. An FTA with the U.K. alone might be politically simpler to negotiate (assuming Cameron’s embrace of Beijing is also adopted by his replacement as prime minister), but won’t have nearly the same economic benefits for China. For Japan, Brexit is something of a disaster. Specifically, a bad year looks to be getting worse for Prime Minister Shinzo Abe and Bank of Japan Governor Haruhiko Kuroda. As the pound plummeted during the counting of results, the yen appreciated considerably, posing a challenge for the broader Abenomics agenda. Kuroda had chosen to break new ground with monetary policy, choosing to implement negative interest rates earlier this year. Japan’s monetary options may be tied and the only option now may be foreign exchange intervention—something the United States had warned against. For Abe, one small silver lining for Brexit may be that the ensuing global financial chaos will offer a convenient political alibi for the causes of Japan’s own economic dysfunction. Meanwhile, in South Asia, Indian reactions to Brexit are somewhat mixed. The official reaction is cautious. Indian Finance Minister Arun Jaitley, in a statement, notes that the “verdict will, obviously, further contribute to … volatility not least because its full implications for the U.K., Europe and the rest of the world are still uncertain.” India, with its still-impressive growth rates, remains the one large emerging economy able to satisfy investors. The looming threat of a rise in global interest rates—particularly repeated rate hikes by the U.S. Federal Reserve—threatened to counter India’s momentum. With the ongoing uncertainty in global markets after Brexit, interest rates worldwide should continue to remain low, ostensibly helping India maintain momentum. For India, the downside risk of Brexit is in the effect it could have on major multinational corporations, such as the Tata Group, who operate several subsidiaries based in the U.K. A U.K. detached from Europe could lead to depressed revenues, potentially feeding back into the Indian economy more broadly. Facing a tough economy, demographic challenges and a rising China, Japan’s parliament makes it official.